•	Well designed open floor plan showcasing gorgeous river views. •	Expansive, gourmet kitchen with commercial-grade appliances and spacious casual dining area. 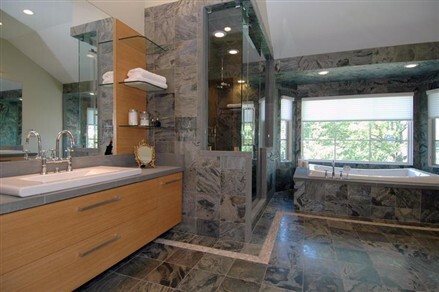 •	Very high end materials throughout with impressive architectural details. •	A total 15 rooms including 7 potential bedrooms. Two oversized formal master suits, with large balconies. •	Expansive patio with three formal sitting areas overlooking river, grounds, and in-ground heated pool with hot-tub. •	Updated dock with electric boat lift and dual jet-ski lift. •	Three car garage, wide circular driveway, large manicured grounds. •	Close proximity to boating marinas, boarding stables for horses, horse racetrack, and heliports. •	Easy access to international airports and other transportation. Rumson is home to high net-worth individuals, CEOs, high management of financial industry, and many international celebrities. Special Report: Who wants to buy NYC luxury properties most?